1967 RS/SS black paint on rear tail light panel. Re: 1967 RS/SS black paint on rear tail light panel. 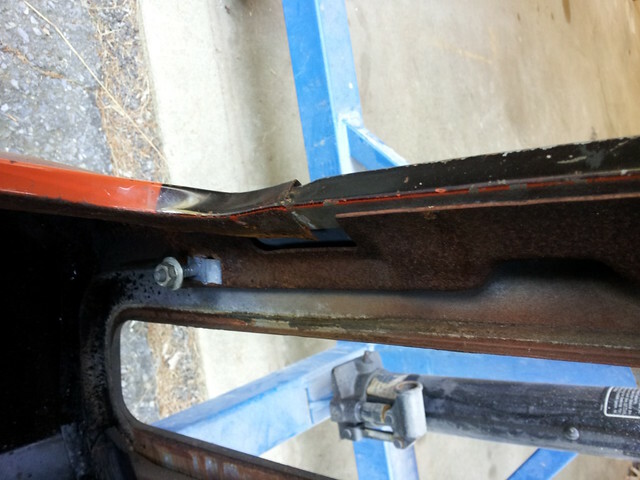 There are examples of OE paint survivors of all years with glossy rear panels. Note that the gloss level on the spoiler is very similar to the black rear panel. Have a few others, same deal. When people like Jerry, JohnZ, Ed, and Jim Mattison all agree, and it fits my memory of what I saw in the 70s, that trumps survivor paint. Years of waxing and polishing change things. It’s ok that we don’t all agree. Everyone says that-they were polished. No they weren't. You're saying your memory trumps an original car? It was done with lacquer. Sometimes it dried dull, sometimes it dried glossy. Simple as that. When I was completing my '69 Z/28 years ago I examined an original paint Le Mans blue Z/28-RS to determine how the rockers should be painted. To my surprise, they were just as glossy as the rest of the car. I doubt someone crawled around under it, buffing the paint. This recently sold, one of the most original '69 Yenkos known. Tomorrow I am going to remove one of the taillight assemblies on the original paint 67 LOS to expose the blackout paint under the gasket and inner frame openings and take closeups. What is visible now is sort of dull from years of paint oxidation so the areas under the gasket should be well preserved being it wasn't exposed to the weather or washing and waxing. Maybe it will look like this. Maybe it won't. Bill, I am not talking about 69. Yes, my memory and those of others - when they agree - trump a car that supposedly has original paint. Unless it was under a bubble, never driven or touched and never left the sight of the owner. There is a guy I know that thinks his GTO is all original. But it was wrecked (by his brother, while the owner was out of town) on a Friday night and back to “normal” by Monday morning. Sh!t happens and no I am not delirious. Lots of cars painted with lacquer in the early 80s can look just like original paint cars - if the painter knew what he was doing. I know of several 60s Impalas that 99.99% of people would swear are original paint. I respect your opinion and that’s all I am going to say on this topic. It’s OK for us to have different opinions. Here's another discussion on the topic. Here's an older one from our site. 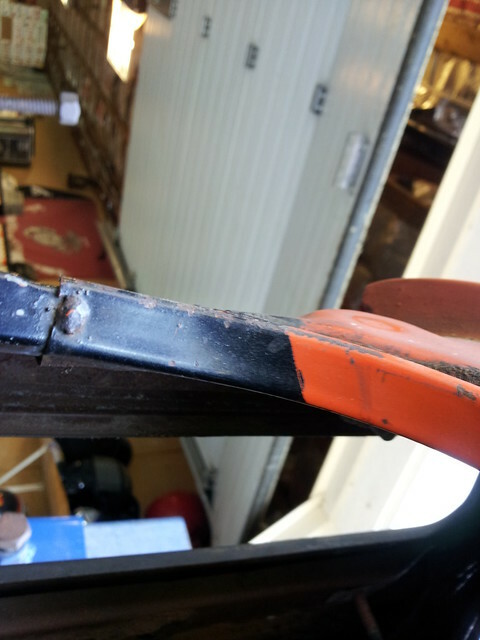 There are several exceptional, original paint survivors with glossy rear panels. Why aren't there any satin survivors? Like it or not Philip's comment in the sYc thread makes the most sense. Temp, humidity, and operator are the key factors in how the paint would lay and how much it would shine. The back panel paint was applied on the line between ovens 2 and 3. The paint was the same paint used on the rockers. The gloss difference was a technical result of the temperature differences within the last reflow oven. The first being where the upper portions of the body were exposed to more consistent heat than the rockers and the reflow process was always more glossy in those areas; If there was a temperature difference in plant say a summer day- the body was already hot going into the oven - warm to the touch- as opposed to a winter day where the body would be cool to the touch. All of these factors played into the final reflow outcome. Cars built in cooler conditions in plant probably were less prone to high gloss where cars that cycled into the oven on a hot day had better and more consistent reflow due to the oven getting a fairly warm body to start with.. It is my hope that this will put this issue to bed once and for all. The above is an excerpt of an interview from 6 years ago from the paint Department supervisor who was actually there and can prove he was there. His name appears on the 1969 personnel listing at Norwood as a Fisher Body employee in paint. In addition He supervised the man in the picture below. i'm NOT a Phillip fan, but I also lean towards the explanation provided in his post (to explain differences). To account for, or correct for, 'gloss differences' in differing environments would be very costly (time consuming) and that was not in keeping with the GM philosophy to 'turn out the cars and make money!'.. Anyhow....here are the pictures with no camera flash, just shop lighting. I did gently wash the exposed areas with some water and soap to remove the dust and used tissue to gently dry it so as not to 'buff' the paint. Some overspray you see is from the factory trunk spatter paint. I used a razor to try to display the paint reflective level (using no camera flash). I can take more pictures if desired. Good idea with the razor Mike. It shows the contrast well. Yours is what I'd expect to see. It's "glossy", but not full gloss. I still feel like all the survivor cars have been waxed & polished for the last 46+ years which has made them much glossier than what you would have seen in 67-69. 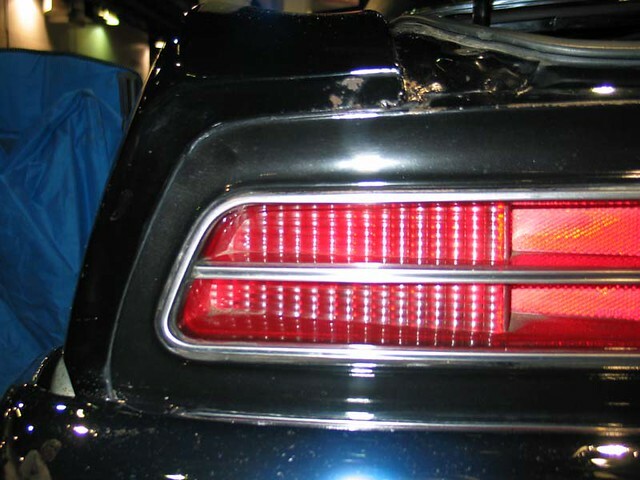 The one pic of the survivor Tuxedo black car shows the difference between the tail panel black and what real gloss black looks like. Unfortunately my tail panel black was painted over prior to 83. They didn't go all the way up to the gutter thankfully. I took a few pics while I was disassembling mine and in the pics below is what I found under and around the trunk seal. I posted these in one of the links William posted up, but good ol' Photobucket struck again. In the end, I think I'll take JohnZ's recollection long before everyone else's opinion. Either way, I'll be painting mine similar to what I found under my trunk seal. I believe the pic of the black '69 is telling. Per the paint charts for '69 the formula used for Tuxedo Black is 9300; the black used for stripes is 9000. The rear panel was probably the same black used for striping. Was done after reflow; not sanded or polished.